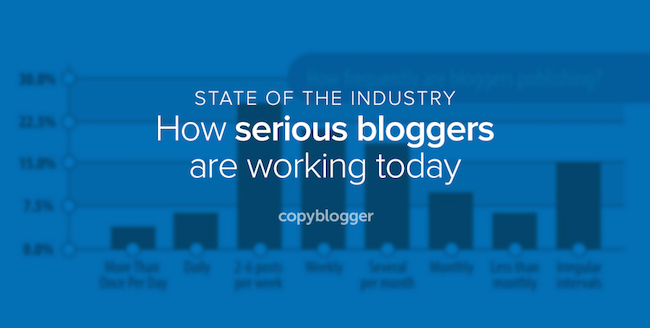 Blogging remains the cornerstone of most content marketing efforts. According to HubSpot, marketers who have prioritized blogging are 13 times more likely to enjoy positive ROI. The data presented by HubSpot also claims B2B companies that blog produce 67 percent more leads than those that don’t. According to Demand Metric, 59 percent of B2B marketers consider blogs the most valuable channel. So, Orbit Media Studios co-founder Andy Crestodina thinks the mega-population of the content creation nation stands to gain interesting insights by examining how their blogging brethren operate. The 2015 edition of the research examines the answers to 11 questions and juxtaposes the data with the results collected in 2014 to reveal trends taking shape. In a thorough summary post on the Orbit Media blog, the ever-analytical Crestodina charts the data and offers his analysis and opinions. Besides my “Hmph, fascinating stuff” reaction to the blogging research, I wondered what Andy considered to be the real bullets — the findings that shed light on how business blogging has evolved and where it might go next. I suggested to Andy we hone in on the nitty-gritties and present them as an infographic, allowing you, me, and bloggers worldwide to look at how the way they go about their business compares to the larger universe. You can also download a PDF of the 2015 blogging research highlights from Orbit Media Studios (406 KB).